Ben Chang, a beatboxer and improv comedian from Boston, joins us to talk about the ins and outs of accompanying a show as a beatboxer. While beatboxing is commonly associated with hip hop, it can also be used alongside a traditional piano set up or as a source of sound effects and punctuation. Ben also attempts to teach Scott to beatbox with varying degrees of success. Veteran music director Steve Gilbane joins us to talk about the art of accompanying improvised songs. We talk about common song structures including last line tagline and verse-chorus and how to communicate that structure to singers. Steve also goes over a library of common chord progressions which are great starting points for improvising songs. Adam Brooks of ImprovBoston and formerly Second City Cleveland joins us for this to talk about his experience there. We also talk about how to find the right teacher, building your musical style & voice, and a crash course through the 12 bar blues! This episode is an interview via the magic of the internet with Johann Frech from Lima, Peru. Johann talks through the improv, comedy, and music traditions in Peru, as well as how he uses his Yamaha arranger to play with a broader sound palette. In this episode, Nelson Velazquez of Los Improviachi's joins us to talk about music directing as a guitarist and playing in an improv mariachi band. If you think music direction is just for piano players, listen to this episode & think again! Music director Steve Sarro comes on the show to talk about underscoring for improv shows. Musical improv is about much more than just making up songs - Steve talks about improvising original soundtracks for shows. This episode also discusses how to pick what to play and how the underscoring can direct a scene as well as respond to it. 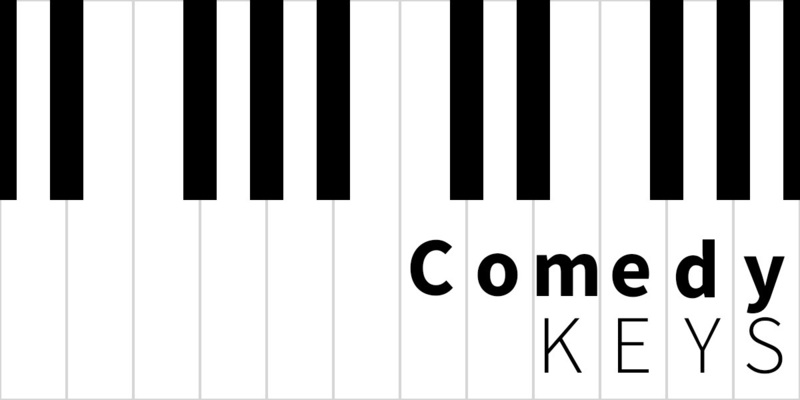 In Comedy Keys' first ever interview, Gwen Coburn talks about the importance of vocal warm ups and guides us on how to structure them for an effective show or rehearsal. This episode is a great reference for both music directors and performers alike! Gwen gives great advice on how to care for your voice as a performer/singer/improviser, including warming up on your own before a show and avoiding straining your voice in your daily life. In this first episode, Scott discusses for whom the podcast is intended (anyone interested in music directing for improv comedy), why this podcast exists, and how he got in to music direction in hopes to inspire others to do the same.